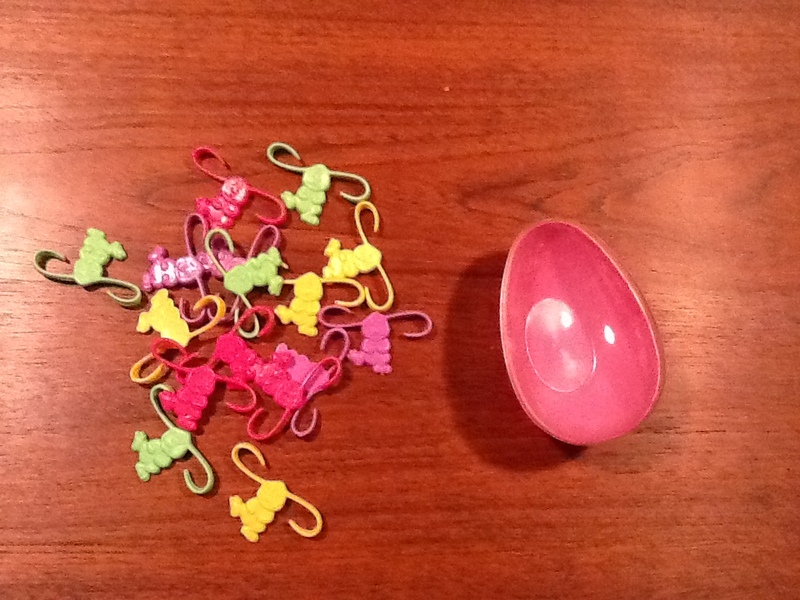 I rummaged through the Easter clearance bin at Michael’s and found some a few items. 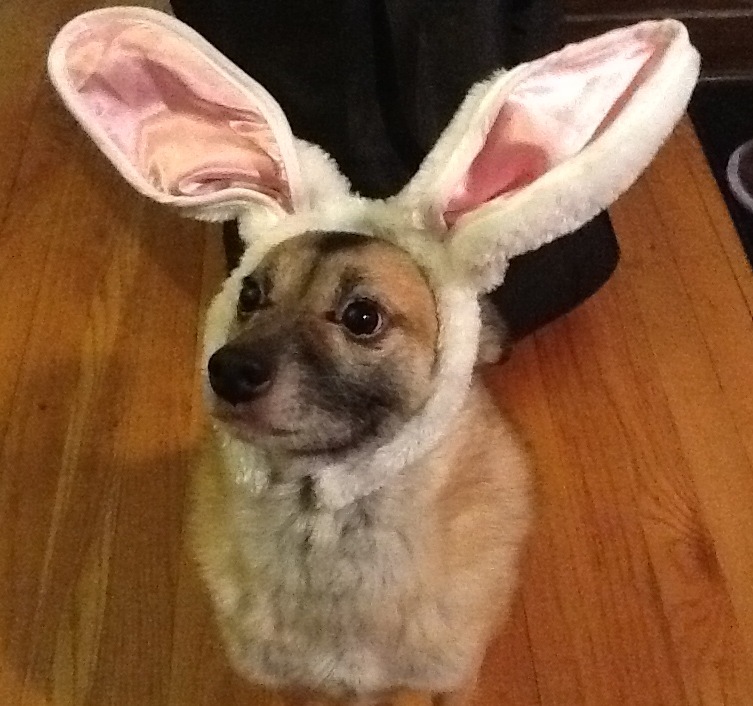 No dogs were actually turned into bunnies in the making of this post. Cheers! I’m hosting this week. So check out the #FFRU here. Hit the rainbow button in the sidebar for the pinterest archive. And enjoy the weekend! LM*O! 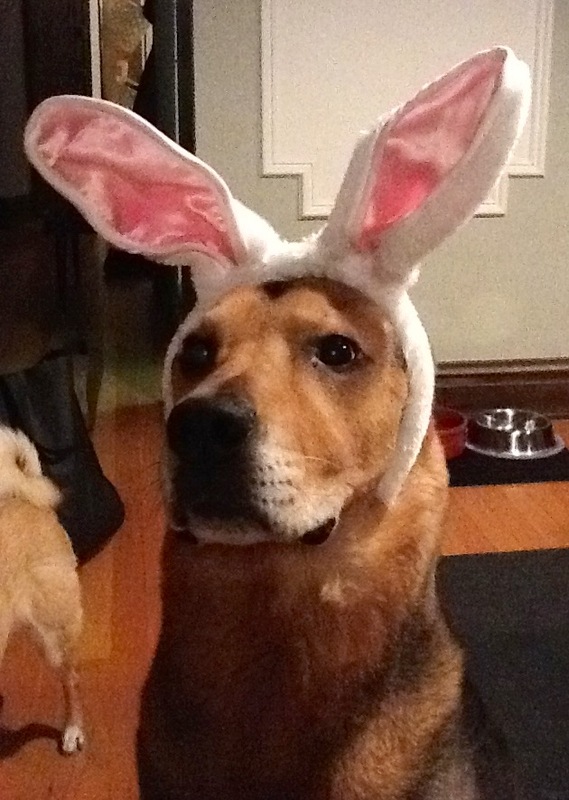 Your dogs make adorable bunnies but you can just see that they are wondering “why me?” LOL! Have fun with your finds. They are awesome! FYI, they both got lovely pieces of “magic cheese” to make up for their suffering. fyi: “magic cheese” is really just normal cheese, but they go so nuts for it, that they swear it has been made by pixies. LM*O! I need to post pics of my dogs who go crazy for just about any kind of food! Maybe they think it is all “magic food’ made by “pixies”. Hmmmm….